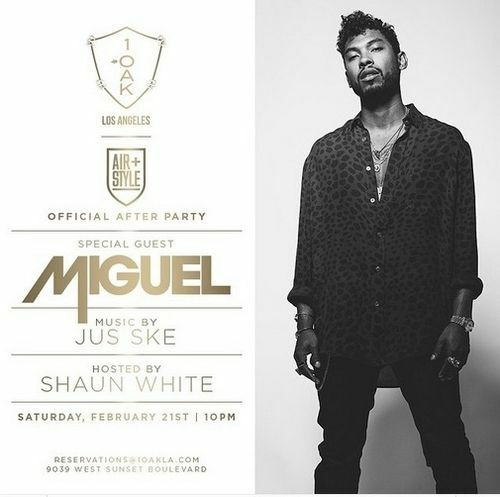 Official After Party w/ Special Guest Miguel @ 1OAKLA. 10:00 pm. DJ Jus Ske spins. Hosted by Shaun White.